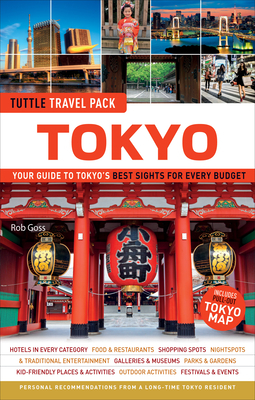 For travelers who want to experience everything Tokyo has to offer, look no further than Tokyo Tuttle Travel Pack. From strolling the winding alleys of the city's traditional neighborhoods to exploring its ultra-modern, neon-soaked streets, this comprehensive Tokyo guide delivers it all. Readers will learn where to enjoy the finest Japanese cuisine and cutting-edge contemporary art, centuries-old temples and gleaming modern architecture, and all of the other wonderful elements that make Tokyo the world's most mesmerizing city.